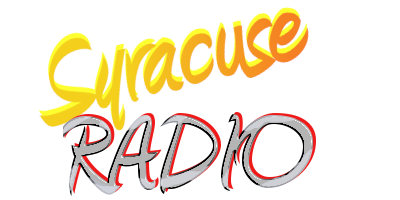 Former Afternoon Drive Personality Jay Flannery Remembers WHEN: The Sportsmen's Show is an annual event in Syracuse that's held at the NY State Fairgrounds in the large Center of Progress Building. With the show comes some rather novel and bizarre attractions, including wrestling bears. 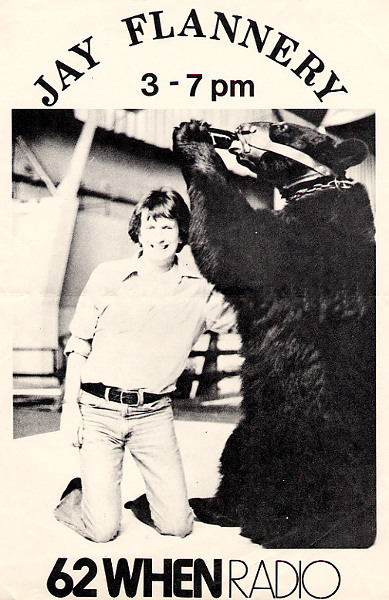 In 1978, then Promotion Director, Nancy Carpenter, asked if I'd like to take a ride out to the fairgrounds and meet "Victor The Rass'lin Bear" who was to be part of the entertainment at that year's show. Being the adventuresome person I am, I agreed to go along as Nancy wanted to take some publicity pictures as part of the station's co-promotion of the event. No sooner did we arrive and I find myself in the ring being introduced to Victor, who when he stands on his rear legs is at least one "big hairy head" taller than me. In case you're wondering where this is going, I at that very moment was wondering much the same thing. I thought maybe some "cute" pictures...maybe...but bear rass'lin wasn't one of them. Surprise of surprises Jay, you're about to wrestle (if you really want to call it that) your first bear. So while still shell-shocked from the fact I'm going to be doing a little more than "meeting the bear", I'm suddenly being introduced to the intracacies of a "grizzly" take-down. Yeah, right. This beast probably outweighs me by 200 pounds, has short, smelly hair, and a muzzle that looks like it could come off at any moment. Ok, so my training is over. It took all of about ...er.. 30 seconds and I'm in pretty deep now. Victor and I are in the center of the ring (Note: the show had yet to open to the public so not a lot of people got to witness what was about to happen --thankfully.) Me on my hind legs, Victor on his...we're face to face now... oh, this is going to be ugly, I know it...and then the trainer gives the command to wrestle. I'm down...not out, but down, and Victor is making a mockery of my wrestling skills(?) There's nothing to grab on to. What's available is either slippery (short hair) or has an ungodly smell. Oh, nooo. Now Victor shows off some of his fancy lightening moves. I'm being crushed like a tomato. My hair! My hair! (Muffled laughter from those witnessing this folly) Victor is now just about sitting on my head. No doubt winking and giving a big thumbs -- paws up sign. Oh, this IS ugly. The match is over...almost as quickly as it began... and my bear wrestling days are over ... forever. Time for Victor to celebrate and cool down with a nice bottle of what appeared to be diluted grape Kool-Aid. As proof, you'll see him enjoying it in the after-match photo above. Some match! Of course there's a moral to this story. Isn't there always? Never Rass'l A Bear...They Never Play Fair. *footnote - After this event it was revealed "Victor" was actually "Victoria" adding further insult to injury. Events where animals are used in such a way are rarely seen today and that's probably a very good thing... for both man and beast.